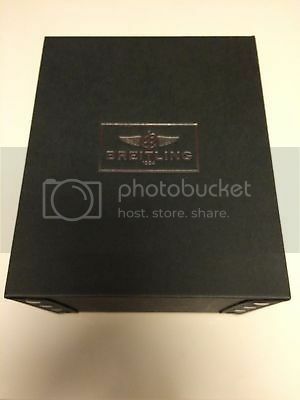 The Breitling Watch Source Forums • View topic - SOH 46 new purchase. Thoughts? SOH 46 new purchase. Thoughts? Post subject: SOH 46 new purchase. Thoughts? I just bought this. Let me know if I got taken. Thanks. Post subject: Re: SOH 46 new purchase. Thoughts? As long as numbers match you are OK, without papers I wouldn't touch a SOH46 as the fake is very good. Why ask a forum? Take it too a dealer they will verify it for you. Because ADs can't verify good fakes as has been evidenced time and time again. You'll get much better advice on 'good' fakes from the experts here than the barely trained staff at an AD. 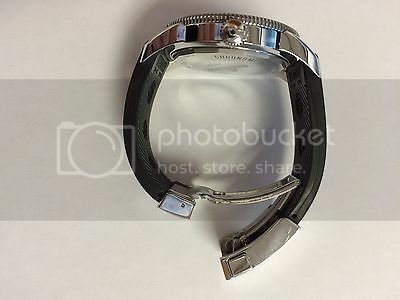 Could a good fake include Breitling papers, bezel protector, breitling varicose sticker on back of watch, perforated warranty card, owners manual, Breitling box, serial number etc? There are fake papers out there, there are also genuine box sets being sold without a watch. A long term member came here knowing he would get good advice and he got good advice, what's the big deal? With all due respect, couldn't an AD sign off on something being genuine given they can closely examine the item, check the validity of the warranty card, certificate etc whereas even the most senior member of a forum only has pictures to go by? 9 years and several thousand successful identifications would suggest otherwise. In this very thread I said that I wouldn't touch this model without matching B&P because the fake was very good. The experts here will (and have repeatedly) identify fakes that AD miss, that's simply the truth, not something I intend to debate. You've joined here and immediately multi-posted to this thread including pictures that have absolutely nothing to do with the thread and I really have no idea why. Someone came here with a question, got an answer and went away happy. If you would rather use an AD then go right ahead, I just hope you never get duped with a quality fake because the first you will know about it is when you send it for service and the service centre tells you. OK I will be quiet until I have earned the right to post an opinion. Sorry sir I didn't mean to offend anyone. You have absolutely every right to post an opinion here....., but trust me, Roff is absolutely correct that 99% of staff at ADs would not be able to spot one of the latest generation fakes (and probably a good few earlier generations as well). 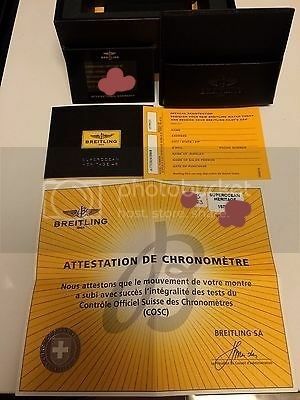 In fact all AD's I've come across are not authorised by Breitling to formally authenticate watches anyway : Breitling will only authenticate a watch once they've had it at a service centre and therefore had a chance to examine it from the inside out. In my experience the vast majority of staff see working in an AD as just a job and nothing more......and there is absolutely nothing wrong with that at all. However people who are really passionate about watches spend time on forums like this and generally learning about the subject, and as a result end up amassing far more knowledge about watches and the brands who make them. 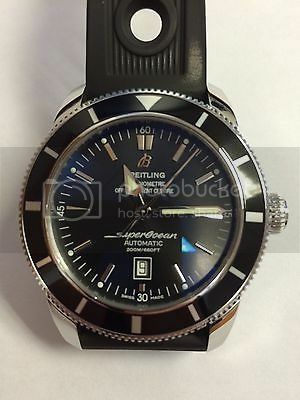 Personally I also have a membership on a replica watch forum - I never post on there, but it's an incredibly valuable resource for learning what the latest fakes look like....and therefore how to spot them. And I'm far from the best fake spotter on this forum. Personally I would trust the advice of the real experts on here using just a photo, over anyone working in one of my local AD's.